Our aim is to ensure your safety: that is why we select the toecaps we use with care. They protect you against impacts of 200 Joules, which is equivalent to a 20 kg load falling from a height of one metre, and against crushing with a force equivalent to 1500 kg. 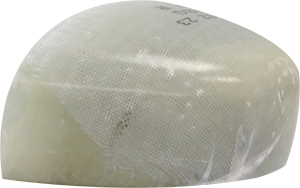 The toecaps we use are certified to European standards and tested regularly in our own measurement and test laboratory. Non-metallic, non-magnetic, non-conducting of heat and cold. 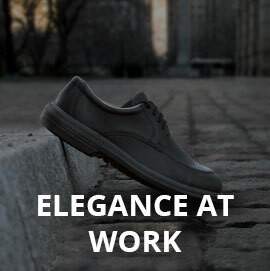 Designing a shoe for occupational use means guaranteeing your safety and comfort, whilst producing a shoe that looks good. 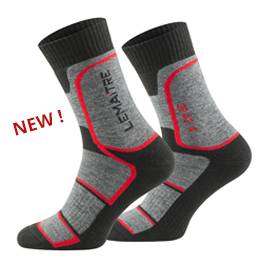 This is a balance that has to be found and it may justify using one type of toecap rather than another for reasons of weight, thermal insulation or shape. 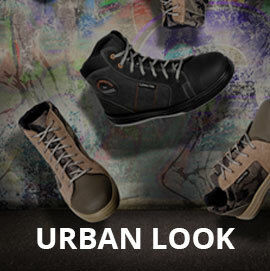 - In the event of a substantial impact on your foot, your safety shoes will need to be changed. The impact may have damaged the protective toecap. You are no longer protected 100%. - Placing a shop-bought insole inside the shoe reduces the space available for your toes inside the protective toecap. You are no longer as well protected against the risk of crushing and anti-static risks.